The tracks made by NASA's Curiosity rover are visible in this image from Mars Reconnaissance Orbiter, released Thursday. 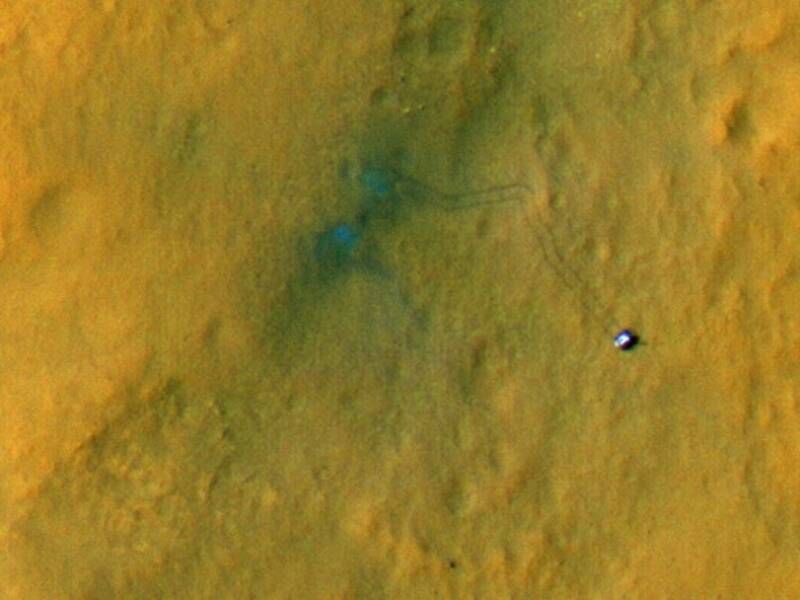 The rover is seen where the tracks end. The image's color has been enhanced to show the surface details better.